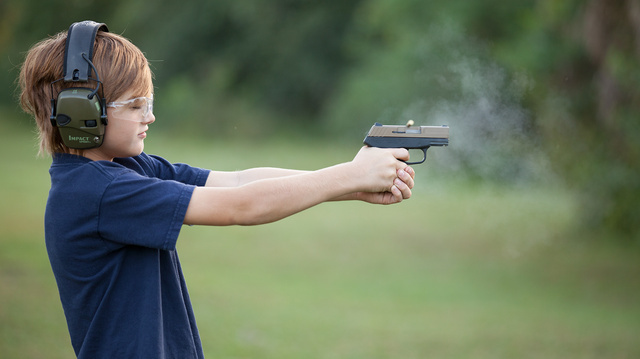 Handguns designed to powerful AND lightweight tend to be less fun to shoot. 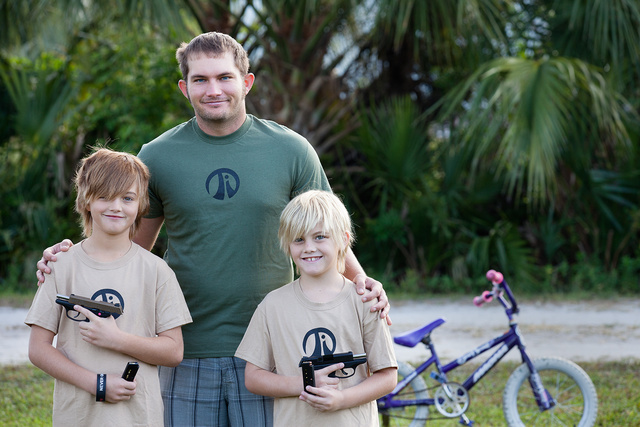 At the same time, they are generally compact enough for teaching kids and other new shooters. So combining lightweight frames like Keltec PF9 or Ruger LC9 or 9S with equally lightweight rimfire uppers from Twisted Industries works pretty well. Not much recoil, and the ammunition is still less expensive than 9mm. As you can see from the photo, even a lightweight .22 with minimal kick is a handful for the new young marksman. 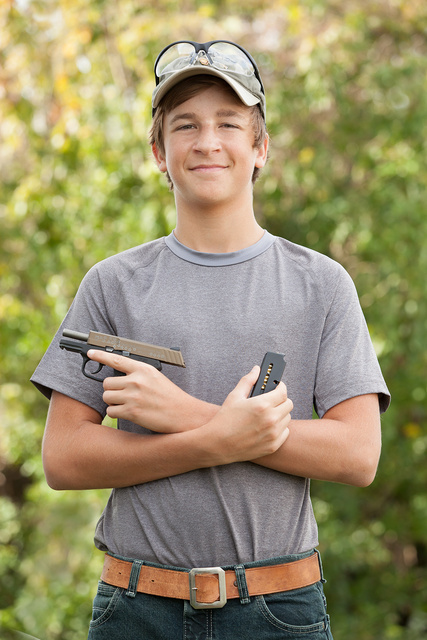 A heavier pistol or in a stronger caliber would have interfered with learning the marksmanship basics more. This approach, on the other hand, allows to work up confidence and to have fun while learning. As an adult, I shoot more with an Iver Johnson conversion kit mounted on M1911 than I do with 45ACP just because subcaliber practice is more fun. 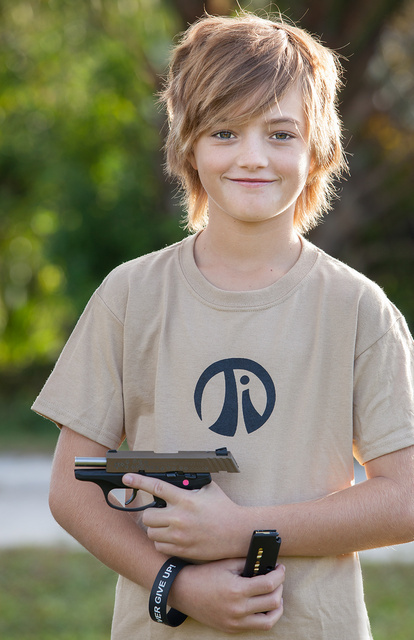 This entry was posted in pistol, training, weapon and tagged 22LR, keltec, kids. Bookmark the permalink. Bought the .22 conversion for my PF-9 from Twisted Industries based (if I recall) on a link you provided. The PF-9 can be painful to shoot with +P. The .22 conversion makes it a joy to shoot, and is substantially more accurate than the stock Kel-Tec setup. As an aside, I had a problem with a spring on the Twisted Industries conversion, and they were not only quick to correct it but went above and beyond good customer service. They have my very highest recommendation.